Spring took a little longer to settle in here in the Northeast this year—at least, the aspect of spring we dreamed about all winter, the part that doesn't involve massive amounts of rain. Now, it seems, the season of balmy but not hot and sticky weather, of flowering trees, of butterflies, is finally here, for a least a few weeks before summer kicks in. 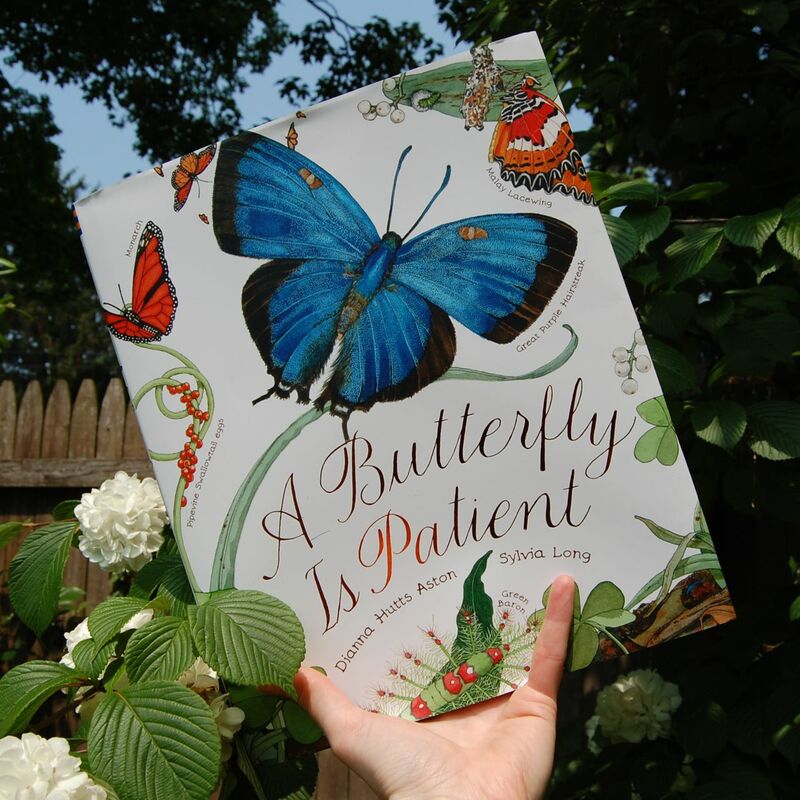 So while readers of this book do in fact get a good primer on the life cycle of butterflies, it‘s nothing like a dry biology textbook, thanks to the tapestry-like pages of golds and greens and violets that often seem about to fly off the page. A Butterfly Is Patient makes for a wonderful reading experience for kids with a strong interest in science and nature (and a pretty satisfying browse even for those with less of an interest). Not to mention a great way to celebrate spring. 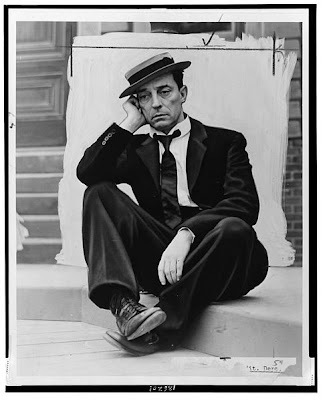 Back when I was a kid, seeing old movies at the various repertory houses conveniently scattered around the Upper West Side of Manhattan, silent movies were still working their way back to respectability. Somehow over half a century of talkies, even the very best of the genre—Charlie Chaplin, say—had at some point become, in the national psyche, movies fit only for children. This had started to turn around well before I was born, but the stigma was still around by the time I discovered them, and as I grew into a young adult I got kind of indignant about it. Classics like Chaplin's City Lights, Buster Keaton's The General, and Harold Lloyd's The Freshman were at least as smart, as well-made, and as funny as anything at the cineplexes—for adults. That anyone considered these movies were merely "kids' stuff" was ridiculous, I felt. At any rate, we return to these classics again and again for family movie nights when my wife and I are feeling a bit tired of animation. 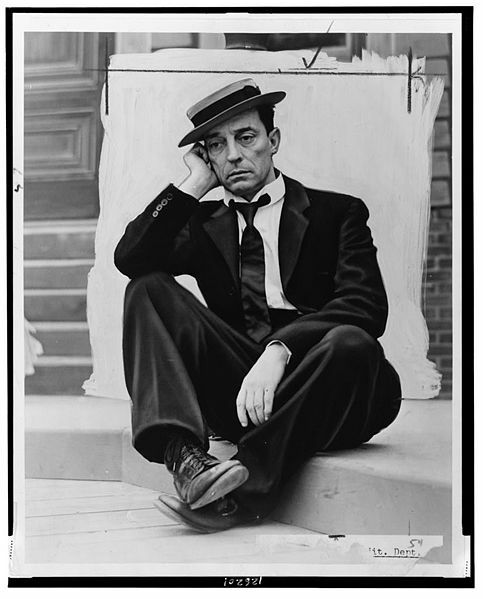 We spent a recent weekend evening watching Keaton's Steamboat Bill, Jr. en masse. I can't think of a time when each member of our family, from the 42-year-old to the two-year old, enjoyed a movie so much, so equally. To me, the rewards make that effort worth it. Pixar films are rightfully lauded as movies for children that are fully enjoyable for adults, even to the point that many adults see them without the kids. Classic silents are much the same thing, except the other way around: They're perfectly enjoyable for kids...but they were made for us adults. For once, we get to turn the tables, and yet everyone's happy. It's a win-win! 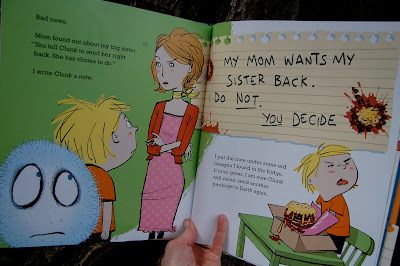 There are only a handful of picture-book authors who are capable of making me laugh out loud as I'm reading their work to my sons. Lane Smith comes to mind, as does Mini Grey. And after Earth to Clunk, I'll have to add Pam Smallcomb to the list, mainly thanks to the spread pictured here. 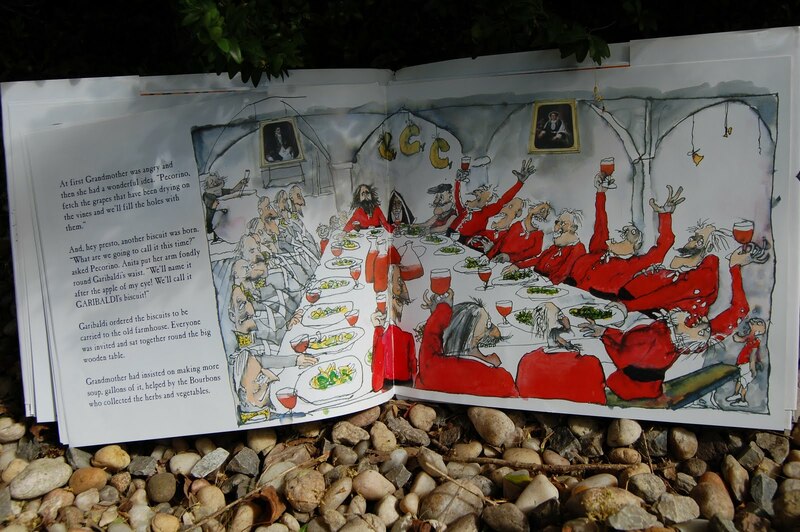 The simple story—really a lesson in not prejudging people and situations—is told in a most entertaining fashion by Smallcomb, aided by Joe Berger's appealing illustrations. (In fact, my six-year-old was inspired to re-enact the entire narrative upon finishing it, high praise indeed.) And the boy’s perfectly dry, matter-of-fact tone as he plots his next swap with Clunk, then tries to process whatever disturbing thing he's gotten in return, will have parents smiling—and, yes, laughing—along with the kids. Earth to Clunk is nothing fancy; it's just everything a charming picture book should be. But parents in the room will start noticing something a few songs in, something not always true in this genre: This guy, and his whole band, can really play. By the time I got to the bluegrassy "Shark in My Bathtub," which features some serious picking, my eyebrows were fully raised. And it's true of every song, from the Latin-tinged songs (sung in Spanish) to the ska number. 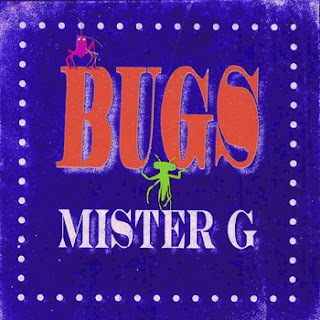 And that means Mister G has hit the sweet spot that makes for so much of the best children's music today: subject matter that keeps the kids entertained, set to music that adults will enjoy too. We're in experienced and expert hands here, so the offbeat narrative, much like the rip-roaring ink-spotted art itself, is delightful rather than unsettling. 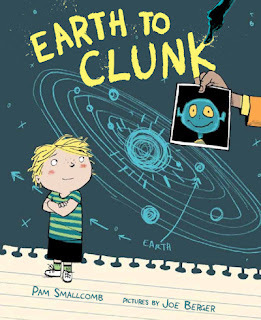 (And for those who want to sort out truth from fiction, the author takes a page from Lane Smith with a brief run through the details at the end.) 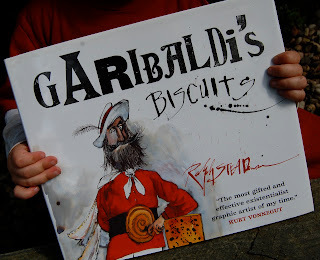 The grounded surrealism of Garibaldi's Biscuits has been pretty much irresistible to my six-year-old since we got it a couple of years back, with staying power, and it's always an enjoyable bedtime read for us parents, too. 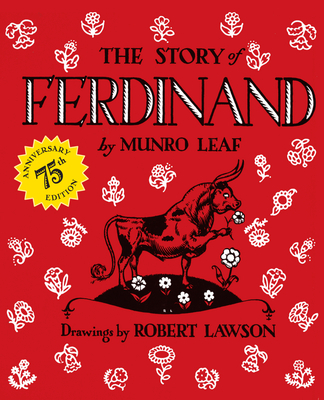 I can't imagine many parents are unfamiliar with Munro Leaf's classic about the peace-loving bull; since coming out in the 1930s, it's been universally beloved. 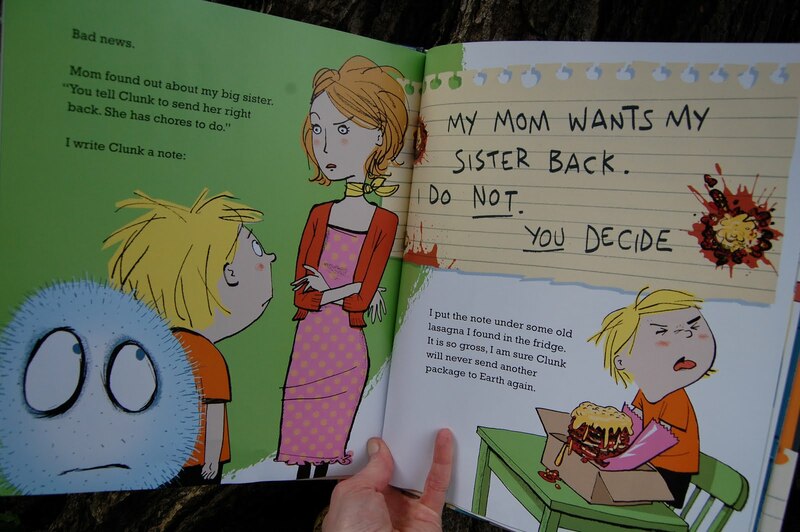 And if my two-year-old is any indication, it's lost none of its ability to enthrall young listeners and readers. As is so often the case, this story has been deemed a classic for a reason. 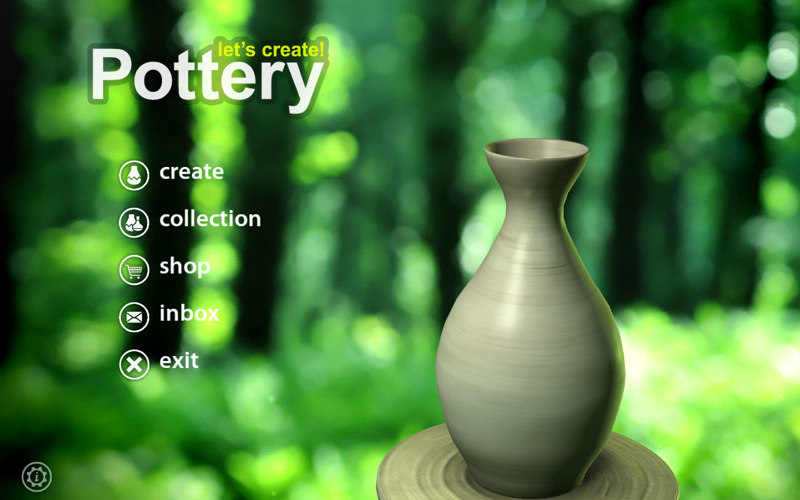 If you're looking to rediscover (or just discover!) Ferdinand, you might be interested in the handsome 75th-anniversary edition that just came out. Also worth a look is an eccentric, marvelous audiobook treatment, read with gusto by David Ogden Stiers and accompanied by music by Saint-Saëns and poetry by Ogden Nash, that I mentioned in this space last year. I feel like this choice is cheating a little, since it came out only last year, and got plenty of well-deserved coverage then (including a spot on the New York Times' list of the best children's books of the year, which it most certainly was). 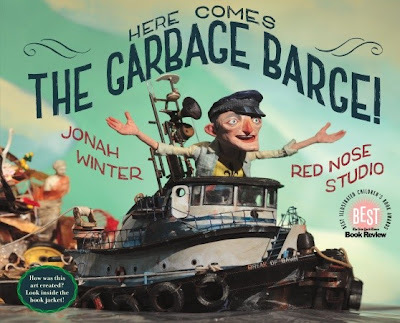 But Here Comes the Garbage Barge!, a collaboration between Jonah Winter and Red Nose Studio (the working name of artist-illustrator Chris Sickels), truly is the current obsession of my two-year-old, so I suppose it satisfies my, er, categorical imperative. At any rate, it's pretty amazing. Winter, whose family I seem to be writing a lot about these days, shares lordship over the small but wonderful historical-fiction-picture-book genre with Lane Smith. This time, he's chosen as his inspiration a tale New Yorkers of a certain age will remember well: The barge full of garbage from Long Island that, after being refused landing in various locations in the hemisphere, sadly steamed around New York Harbor in 1987 for several months, the Flying Dutchman of trash. As usual, Winter frames his narrative with the true story while adding his own flights of fancy, and giving a tale that ends with a rather stern moral ("Don't make so much trash!") a light, jaunty, and always entertaining air. 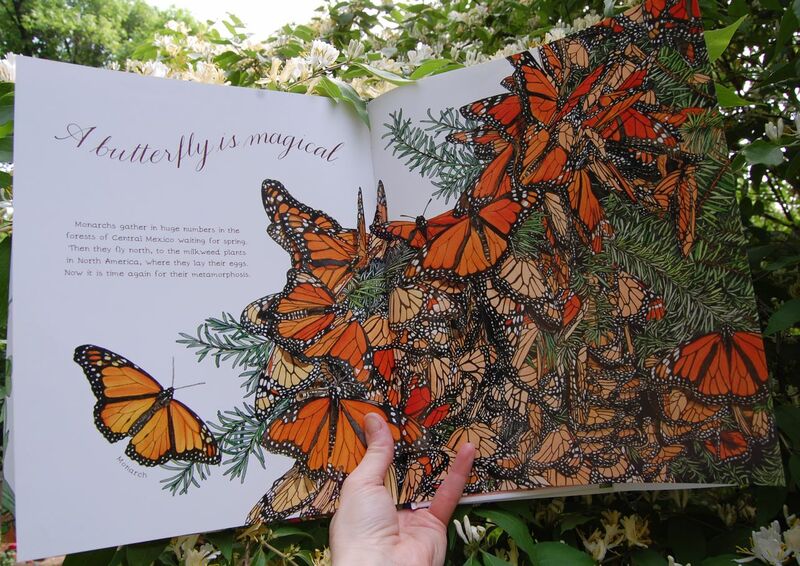 It's the art, though, that's downright astonishing. The odyssey of the tugboat captain tasked with dragging the barge around North and Central America is portrayed in images (they're actually photographs) of 3-D sculpture scenes, essentially—all made of found objects. That is, trash. Each image is dazzling: remarkable for its complexity and for its simple, essential beauty, all at once. And the artist is able to make his story's characters as expressive as those in the best stop-motion animated films (with no assistance from voiceover artists! ).